Ray Johnson did an outstanding job presenting in a way that was easily understood. 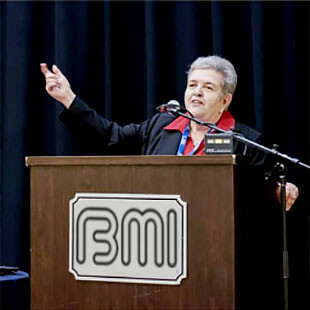 Mary L Howell, co-president and founder of BMI, has delivered a variety of topics at conferences, seminars and workshops across the county. Her passion and dedication to clean, safe drinking water is inspiring. View a sample presentation Are you Just Punching a Time Clock BMI instructors also provide customized presentations at industry events. Contact BMI for more information and availability.